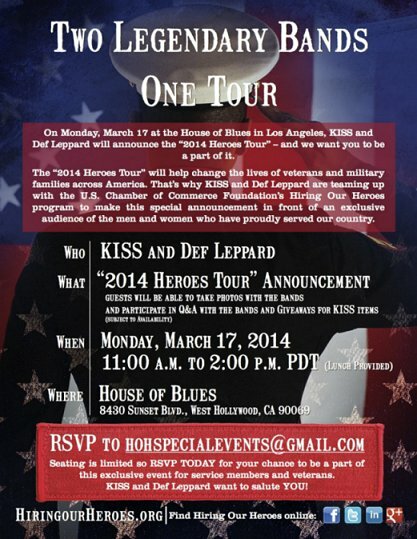 Def Leppard and KISS will announce their 2014 Heroes Tour in two hours and updates will appear live on this blog. This page will feature updates as and when they happen from outside the venue in the run up to the press conference live video. Keep refreshing the page for more updates. 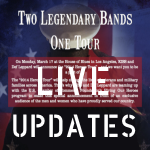 Links will apear to news updates about the full list of tour dates when they become available. Blog NOW ENDED - Open livenation.com in another tab to watch the video! 6:32pm - Pic - Lep fan on the inside :). 5:55pm - 5 mins to go watch above!. 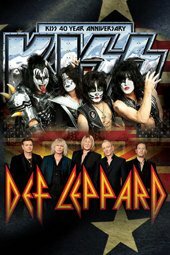 5:48pm - Yahoo News recap - "The legendary bands will embark on a U.S. tour June 23 in West Valley City, Utah. They will play more than 40 dates, including Los Angeles; Austin, Texas; Nashville, Tenn.; Atlanta; and Tampa, Fla. The tour wraps Aug. 31 in Woodlands, Texas.". 5:38pm - Still here - still counting down - more updates to follow. Watch video above (or in another tab). Lep fan Leilani is still at the venue. 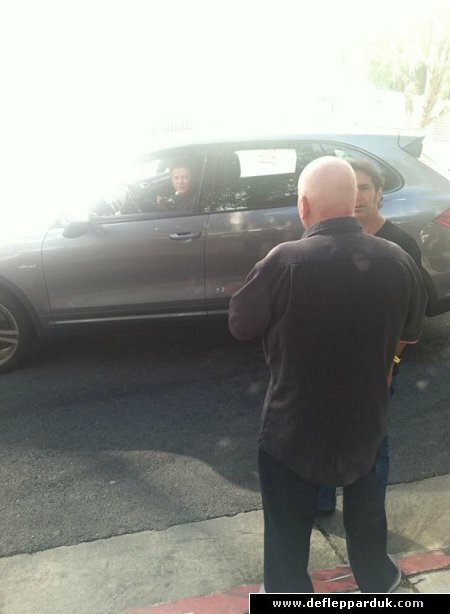 5:27pm - Pic - Rick Allen arrives. 5:27pm - Pic - Lep Crew Members. 5:17pm - ?? - Jun. 23 West Valley City, UT - USANA Amphitheater/Jul. 17 Hartford, CT - Xinifty Theater/ Jul. 18 Mansfield, MA - Xfinity Center/Aug. 3 Camden, NJ - Susquehanna Bank Center/Aug. 5 Saratoga Springs, NY - Saratoga Performing Arts Center/ Aug. 31 The Woodlands, TX - Cynthia Woods Mitchell Pavilion. 5:03pm - This guy is hosting the event (see above tweet). 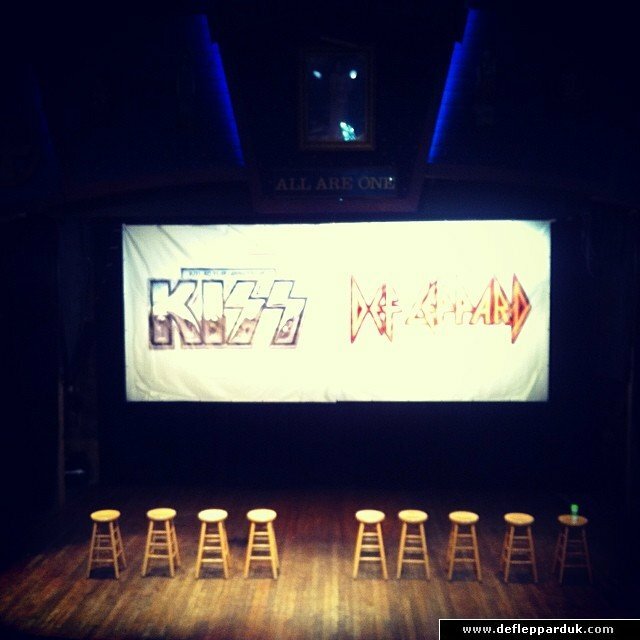 4:59pm - Pic - KISS/Def Leppard Promo Pic revealed. 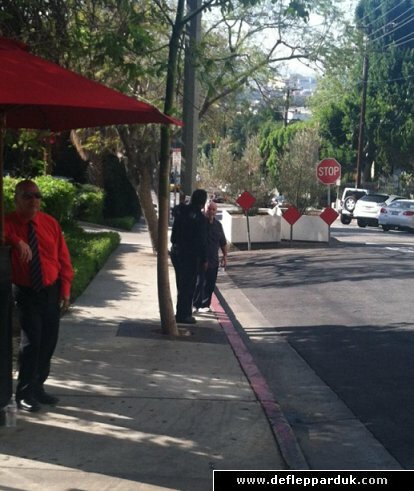 4:55pm - Pic - KISS Arriving - Paul Stanley. 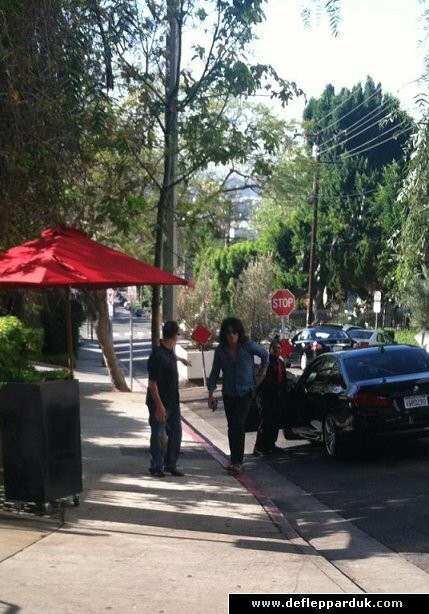 4:23pm - Pic - KISS Arriving - Tommy Thayer. 4:18pm - This guy is hosting the event (see above tweet). 4:16pm - Pic - KISS/Def Leppard - the scene is set :). 4:15pm - The band have not yet arrived. 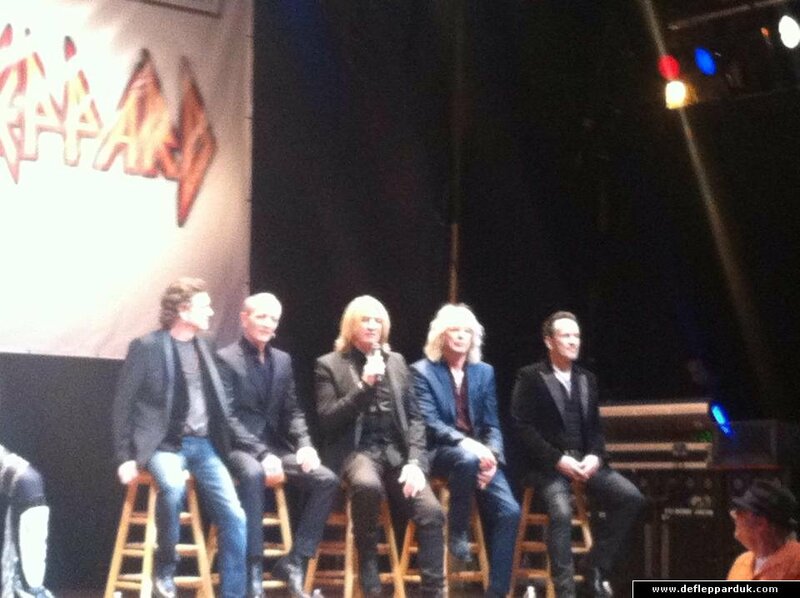 4pm - Pic - Def Leppard/KISS Pre-Tour news. 4pm - Blog is now live . We have a Lep fan in place outside the venue. Possible photos before the press conference starts.